General Joseph E. Johnston was in command of Confederate forces at the South's first victory―Manassas in July 1861―and at its last―Bentonville in April 1965. Many of his contemporaries considered him the greatest southern field commander of the war; others ranked him second only to Robert E. Lee. But Johnston was an enigmatic man. His battlefield victories were never decisive. He failed to save Confederate forces under siege by Grant at Vicksburg, and he retreated into Georgia in the face of Sherman's march. His intense feud with Jefferson Davis ensured the collapse of the Confederacy's western campaign in 1864 and made Johnston the focus of a political schism within the government. 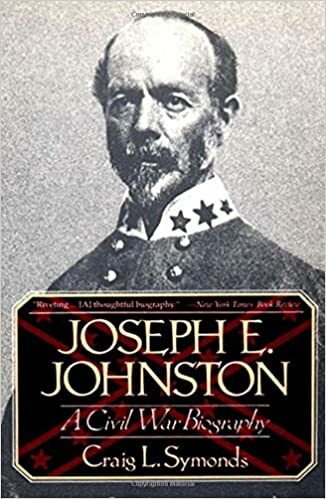 Now in this rousing narrative of Johnston's dramatic career, Craig L. Symonds gives us the first rounded portrait of the general as a public and private man.